When setting up a multicultural classroom, there are various elements to take into consideration. One of them is the classroom’s décor. Ideally, it should contain furnishing and decorative items that are culturally relevant. This includes the carpeting. When selecting multicultural classroom carpets, there are several factors to consider. For starters, it is best to look for anti-microbial carpets that are considered to have little or no volatile organic compounds (VOCs). For those unfamiliar with VOCs, they are found in many manufactured items. According to EPA data, the compounds may cause health problems like headaches and fatigue. That’s why it best to avoid them if you can. In addition to those features, a classroom carpet should be stain resistant, fire resistant and durable enough to be cleaned frequently. The frequent cleaning is essential if you want to keep allergens, odors and dirt to a minimum. Depending on the amount of foot traffic that your classroom receives, a daily vacuuming and weekly shampoo routine may work out perfectly. At this point, you are probably wondering which companies manufacture multicultural classroom carpets with those features. Three companies whose rugs fall into those categories are Carpets for Kids, Flagship Carpets and Joy Carpets. Carpets for Kids makes a lovely Bilingual Rug worth considering. It’s Green Label Plus Certified, anti-static, anti-microbial, stain resistant and double-stitched. In addition, it is expandable and features two different languages (Spanish and English). Educational areas covered include the alphabet, numbers, shapes, colors and basic words. 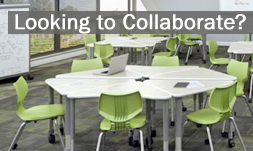 Educators may also choose from two classroom carpet shapes, oval and rectangle. It isn’t the only multicultural classroom carpet the company makes either. They also manufacture a wonderful Bilingual Paint by Numero Carpet. It has many of the same qualities and is also Cradle to Cradle Certified. Other multicultural classroom carpets to consider investing in are Flagship Carpet’s Amigos Carpet and Joy Carpet’s Bilingual Phonics Carpet. Both of them are anti-microbial, anti-static and stain resistant. The Bilingual Phonics Carpet is also Indoor Air Quality Certified. For a closer look at these and other great classroom carpets, contact us at 1-800-599-6636.